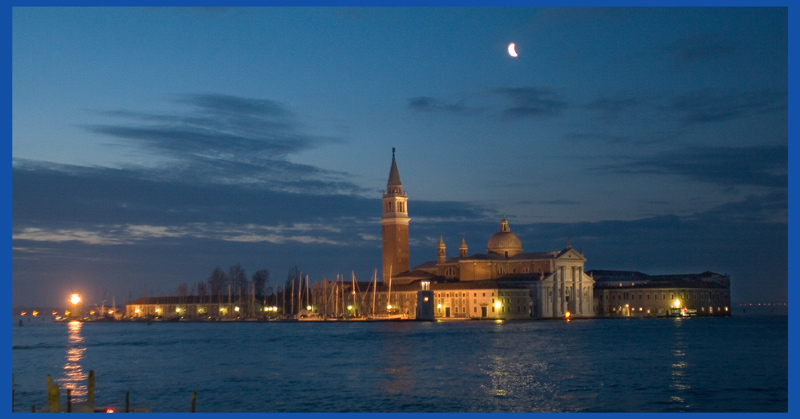 Photo "venice at 6:00 a clock"
Beautiful nocturne view of the city, nice light and colours, well exposed and composed! Beautiful evening photo! Excellent exposure. Beautiful shot of nice Venice! The moon adds alot here. Beautiful lighting, good exposure (of course). Congrats.